Call 1-800-875-9145 to speak with one of our fitness advisors with any questions you may have about any of our barbells and plates. Get Motivated! - Step up your fitness program today and go to FitnessZone.com to order your Troy Olympic 300lb Weight Set OSS-300. Product/Shipping Weight: 125 lbs. LWH: 65” L x 29” W x 58” H.
Product Description: The TROY Lite Storage Rack holds 20 full sets of TROY Light Workout bars and weights. 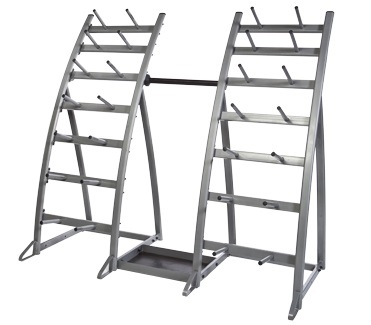 This newly-designed rack will fit well in any group exercise room. Weights are not included. 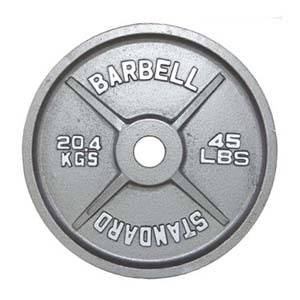 Order your Troy Olympic 300lb Weight Set OSS-300 From FitnessZone.com today!